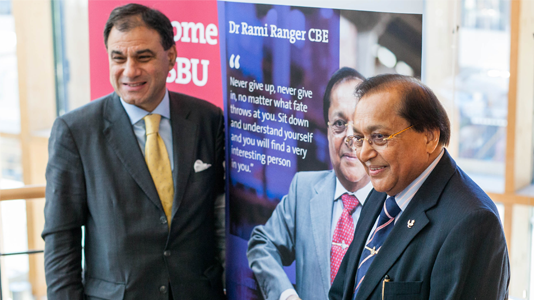 London South Bank University (LSBU) students, alumni, staff and stakeholders gathered in LSBU’s Keyworth Centre to hear personal entrepreneurial stories from Dr Rami Ranger CBE, the founder of Sun Mark Ltd and Lord Karan Bilimoria, the founder of Cobra Beer. Both entrepreneurs spoke about their business values and what it takes to succeed in competitive markets with external pressures. 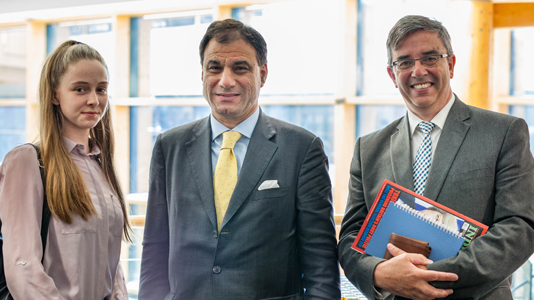 In his keynote speech, Lord Bilimoria shared his Cobra Beer journey whilst touching on his 10 principles for entrepreneurship, which included passion, partnership and the ability to adapt and innovate. 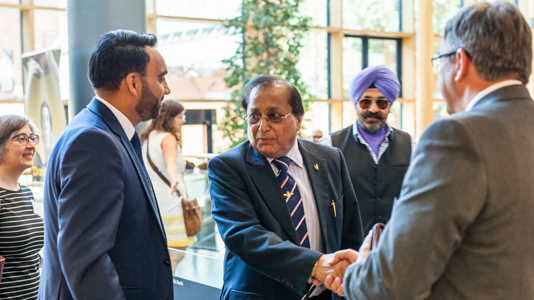 The event, which formed part of the University’s 125th anniversary celebrations, also showcased all the enterprising activity that has taken place as part of the Dr Rami Ranger CBE Centre for Graduate Entrepreneurship, which opened in 2014. 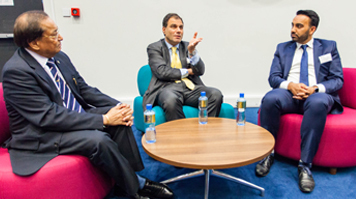 Equipped with desks and meeting room space, the Centre provides LSBU’s students and graduates with a unique space to work alongside other entrepreneurs with dedicated support and free office space to grow their start-up ideas. 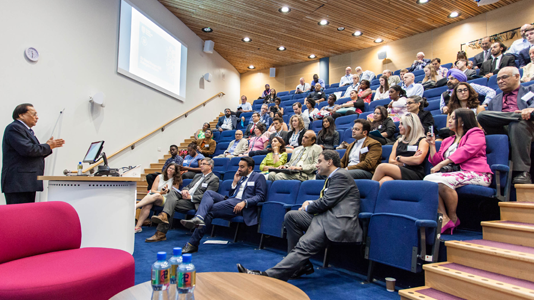 Dr Ranger’s contribution also set up an investment fund to support students and recently graduated alumni to develop their enterprise skills and achieve their entrepreneurial potential. 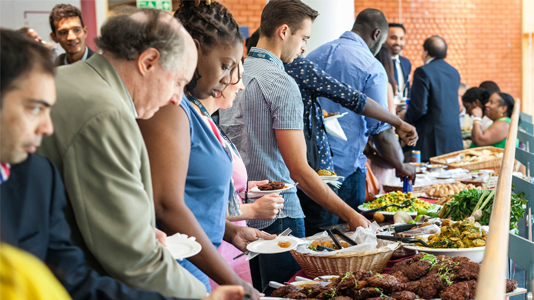 “A lot of the opportunities that have been created for our students and graduates at LSBU just wouldn’t have been possible without Rami’s support. His contributions and the way he inspires our students and graduates encourages them to look inside themselves and embrace their true potential. 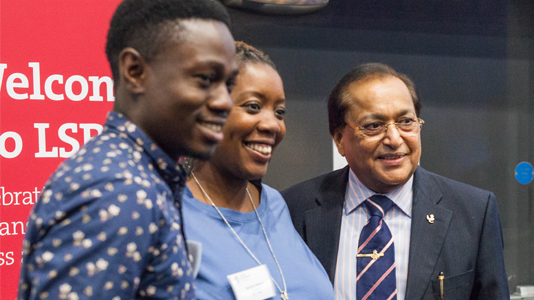 Find out more about LSBU's Entrepreneurship and Innovation Institute. Photos taken by Chris Arrondelle, South Bank Collective.